Polaroid have unveiled a new "dive rated" waterproof underwater housing. Available for a wide range of Canon, Nikon, Olympus, Panasonic and Sony cameras, the new Polaroid underwater case is waterproof to a depth of 130 feet, and provides access to all camera controls. The housing can be purchased on Amazon for $99.99-$599.99, depending on model, and ships with a hand and neck strap, an o-ring and water sealing lubricant, and a manual. 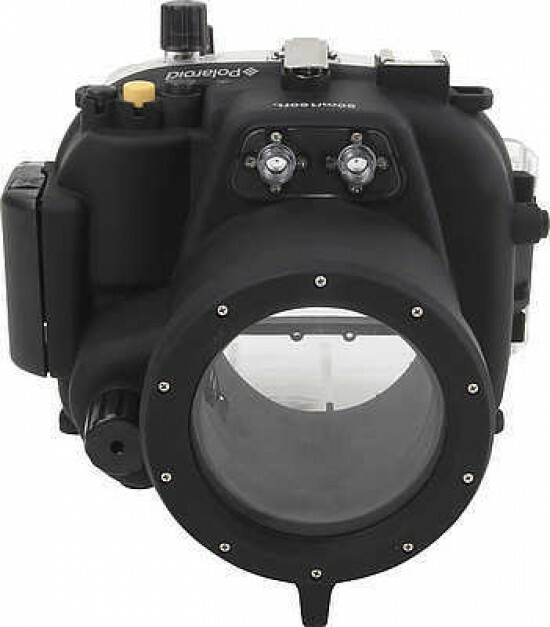 RIDGEFIELD PARK, NJ – March 17, 2016 – The Polaroid dive rated waterproof underwater housing case is designed to bring digital cameras from Canon, Nikon, Olympus, Panasonic and Sony from land to sea. The perfect solution for adventurous photo enthusiasts, the Polaroid underwater camera case is made of high impact polycarbonate and can withstand water submersion up to 130 feet. It also offers protection from rain, snow or dusty and muddy environments for extraordinary images on any terrain and in any conditions. The Polaroid dive rated waterproof underwater housing case is now available on Amazon from 99.99-599.99 USD, depending on model, and ships with camera housing, a hand and neck strap, an o-ring and water sealing lubricant, and a manual.